Human trafficking in Mexico is necessarily linked to the “disappearances” phenomenon, with poor data tracking being one of the largest challenges when addressing the problem. This is complicated by inadequate legal structures and under-reporting. 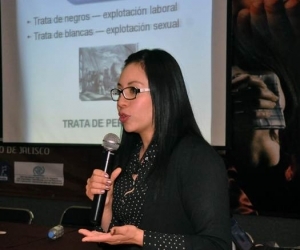 These were some of the messages coming out of a recent workshop in Guadalajara on Mexico’s human trafficking law (Ley General en materia de Trata de Perdonas), with specialist Eva Reyes Ibáñez, a law professor at UNAM. Reyes Ibáñez said that although Jalisco was the first Mexican state to harmonize its legal system with the federal law, there are no credible statistics on a phenomenon that affects millions of people worldwide. CNDH has been working with authorities to identify victims. In the cases where individuals are foreign nationals, CNDH helps to arrange for their return to their country of origin. However, there is real concern that they will then be killed by gangs like the Maras and Los Zetas, notorious for their brutal tactics. Of specific concern too is the increase in child trafficking for sexual and labor exploitation, with CNDH seeing an increasing number of victims being between 13 and 17 years of age. Mexico recently acknowledged that it has a database containing the names of 26,121 people who have gone missing during the six year drug war. The database is now online, allowing for people to search, to add the names and information of missing people, and to notify the government if someone has been found. It is remarkably sophisticated database with cross-reference search functions; in other words, it had been in the works for some time. Though some of the missing are simply people who don’t want to be found, these are thought to be in the minority. As well, La politica expects the number to rise in the months to come, particularly if it is allowed to include the names of Central American migrants. 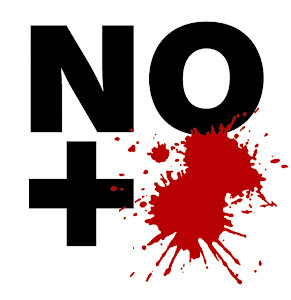 The construction of the database was the result of pressure from Human Rights Watch. Oddly, it was the source of much controversy, particularly among conservative-minded editorialists. Why a system for locating missing persons should be considered without meaning or significance is hard to understand, particularly in the context of the ongoing drug war, which has claimed the lives of some 70,000 people. This new initiative simply brings Mexico up to speed with countries like the United States, which has had a national record of missing persons for many years.